Greenleaf, my publisher, delivered the proof of the Advance Reader Copy (ARC) to me late yesterday afternoon. For the first time, I got to see the entire book. Quite an experience. The ARC's are sent to buyers for booksellers (i.e., Borders) and to publications that have long lead times. We expect the ARC's to go to press the first of next week. Amazon has put a little more information on their site here. This is just preliminary information, we will have the entire listing populated around the end of January. Having never written a book before, this has been quite a learning experience. Considering December isn’t even over, that is a rather remarkable headline, especially in view of the record precipitation in much of the Central U.S. the last 2-3 years and in the South in the last two years. Wichita, St. Louis, New Orleans, and other cities are reporting record or near-record moisture. The snow removal budgets were supposed to last the entire winter. 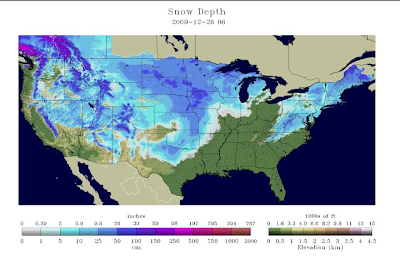 Why assume that the snows were going to deviate from this trend? 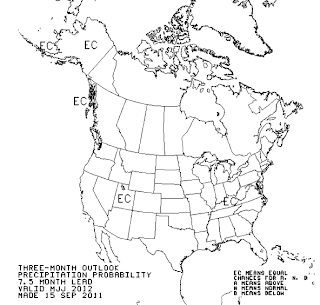 The thought occurred to me that it is conceivable that some are underestimating the amount of precipitation that might fall because they have been told, over and over, that “global warming” was going to cause less. 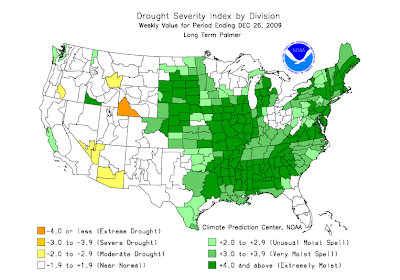 July 23, 2006, Alan Berga of The Wichita Eagle reported that we would have more droughts in Kansas. But it is water that may be Wichita’s more immediate concern, said Bob Buddemeier, a senior scientist in environmental science with the Kansas Geological Service. "More droughts in western Kansas have already complicated ongoing water shortages in that part of the state," Buddemeier said. 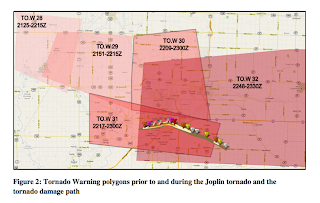 "That danger is more likely to reach Wichita. All in all, I wouldn’t care to be too incredibly optimistic about the future,” he said. On July 29, 2006, Seth Borenstein of the Associated Press compared that summer’s heat wave to “the 1930’s Dust Bowl” and "the computer models show that soon, we'll get many more -- and hotter -- heat waves that will leave the old Dust Bowl records of the 1930s in the dust, said Ken Kunkel, director of the Center for Atmospheric Sciences at the Illinois State Water Survey. Of course, the Dust Bowl was the driest period in meteorological records in the central U.S.
As reported below, the scare stories could not have been more wrong: We are just finishing up the three wettest years in Wichita history. But, it is not just Kansas or even the United States. In 2000, the UK’s Independent wrote, However, the warming is so far manifesting itself more in winters which are less cold than in much hotter summers. According to Dr David Viner, a senior research scientist at the climatic research unit (CRU) of the University of East Anglia,within a few years winter snowfall will become "a very rare and exciting event". So, what is today’s paper saying in London? 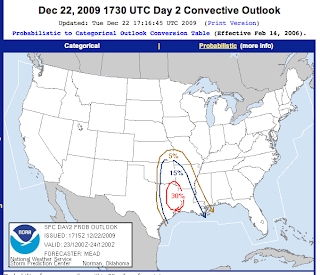 Neither I, nor anyone else, knows what kind of weather the year 2010 will bring. We have no consistent skill at forecasting the weather beyond about 5 days (and sometimes that if iffy) and zero skill beyond about ten days. 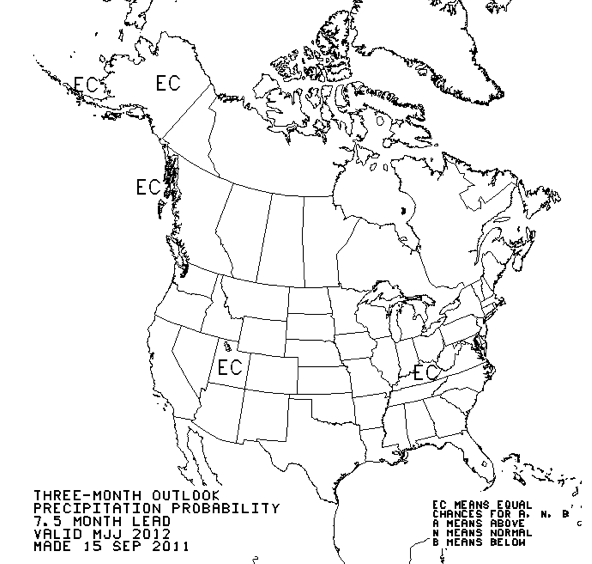 There is no skill -- none -- in forecasting the weather (or 'climate') years in advance. If I were on a city council, I would be thinking about increasing those snow budgets. 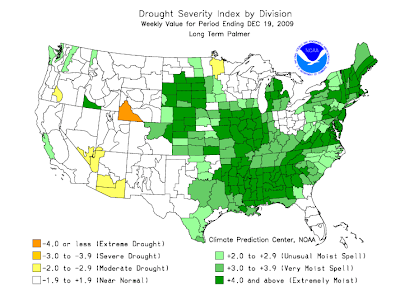 Better to have a few dollars left over at the end of the year if a dry spell hits. A wonderful article about innovation. And, around 1985, I thought WeatherData's AT&T 3B1 computers with 1 megabyte of memory would be all that we would need for five years or more! At least I was closer than Bill Gates. The author is correct: The more technology accelerates, the more it can accelerate. 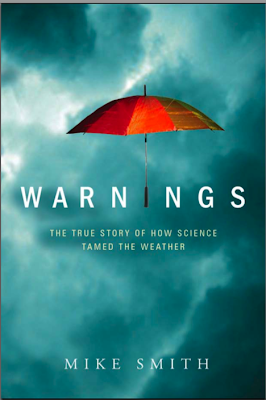 In my forthcoming book, Warnings: The True Story of How Science Tamed the Weather, I write extensively about what went wrong in the wake of Hurricane Katrina. I have been thinking about the similarities between President Bush’s handling of Katrina and, so far, President Obama’s handling of the attack on Northwest Airlines Flight 253. First, some background: I have spent my entire career researching and implementing appropriate responses to “low probability – high impact” events. 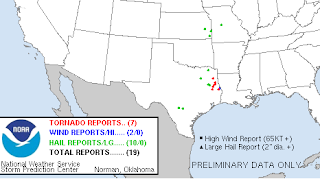 A major tornado is a low probability event at any given location and a terrorist attack is a low probability event for any given flight. 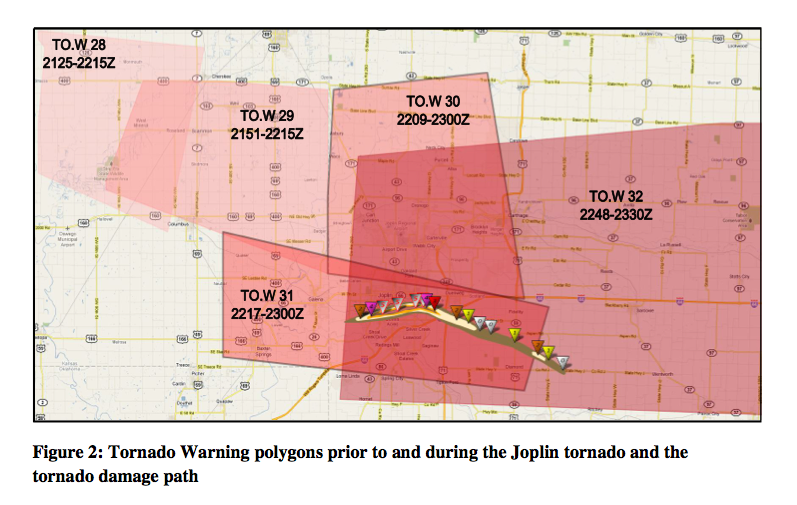 But, both will be catastrophic if the right systems are not in place to mitigate the threat. Based in media reports that the attack on NWA 253 may be part of a larger problem (see here, here, and here, for just three examples), it seems that direct Presidential involvement in this situation is appropriate. 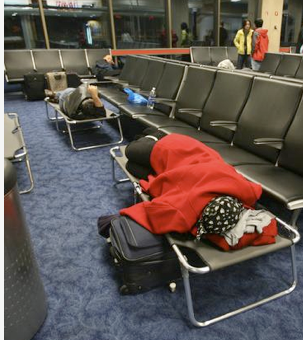 Hundreds would have died on the Northwest flight if the bomb had detonated. Hundreds would have been saved if the Bush Administration and local officials had acted appropriately in the immediate aftermath of Katrina. Given the overwhelmingly negative response to the first President Bush’s handling of Hurricane Andrew and the overwhelmingly negative response to the second President Bush’s handling of Katrina, it would seem politically wise (not to mention consistent with the duties of the office) for President Obama to be personally and publicly involved in his Administration's response to NWA 253 and the additional threats, if any. What are the comparisons I spoke of? Presidential location during Katrina? Bush was vacationing in Crawford. Presidential location during NWA 253? Obama vacationing in Hawaii. Initial public involvement? Bush: None. Obama: None. Inappropriate statements by point person? Brown: "Can I Go Home?" Counterproductive official response by point person? Brown: Sending rescuers to sexual harassment training rather than to New Orleans, and banning private sector assistance that was on the scene almost immediately. Napolitano: Banning using the restroom or reading a magazine 60 minutes before landing (more here) and making passengers (who were the "first responders" in NWA 253) stay in their seats, belts fastened, 60 minutes before landing under threat of arrest. Just like President Bush was blamed for Michael Brown's actions, President Obama will be held accountable for the actions of his administration, for better or for worse. Were I advising President Obama, I would suggest that he make a statement regarding the specific steps his administration is taking to investigate this attack and minimize the likelihood of additional attacks while, at the same time, working to balance the needs of security versus common sense (a grandmother from Grand Forks reading a magazine 30 minutes before landing is a threat?) and re-evaluating the new rules as quickly as possible. Punishing passengers (who were the heroes, along with the flight attendants) of NWA 253 makes as much sense as sending trained rescuers to Atlanta for sexual harassment training. When I present my global warming talk I state, "in the laboratory CO2 heats the atmosphere, but the real-world atmosphere is far more complex than the one in the laboratory." Here is a great article as to why that is. Note: Not everything in Willis' discussion is literally true (nor does he intend it to be). But, as an illustration of why CO2 doesn't work in the real atmosphere as it does in the lab, it is excellent. Article is here. It is well-written and easy to read. Up in the Air. I loved it, Kathleen liked it. I may have been influenced by how very well they portrayed the experience of being a very frequent flier. Its Complicated. Both Kathleen and I loved it. Its a little slow getting started, but it is very engaging once it gets in gear. "I had to pull off and go home, snow rate was near 4" hour at one point in Tulsa. Many persons stranded in vehicles. My nephew has been stranded on I-40 west of OKC for 5 hours and national guard has advised them they will be stranded all night." "I-90 From Minnesota to Chamberlain SD is closed. I-29 from North Dakota to Nebraska is closed." 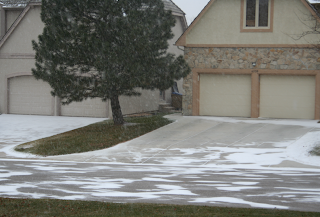 Snowfall is really picking up here on the SW side of KC can't say how much snow we have gotten but at least 3" or so. 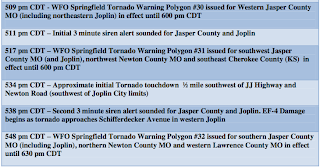 Winds are REALLY cranking now and conditions are getting very worse. I-29 from St. Joe to the Iowa border is shut down. 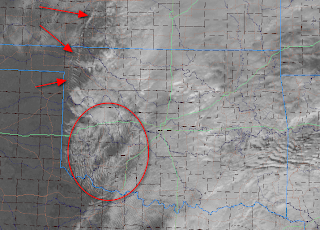 Official report from NWS at Oklahoma City's Will Rogers World Airport is 14.1" of snow. This is the biggest one day snowfall all-time breaking the old record of 11.3 inches set way back on March 19, 1924. 2.3 inches has been reported in Dallas almost breaking their record of 2.6 inches of snow in a single day. Tornadoes caused injuries and widespread damage (including, ironically, destroying a Catholic Church on Christmas Eve) in Louisiana. Arcadia Parish (parish = county in Louisiana) was particularly hard hit. The Star-Telegram said the Dallas-Fort Worth area was experiencing its first White Christmas in more than 80 years. 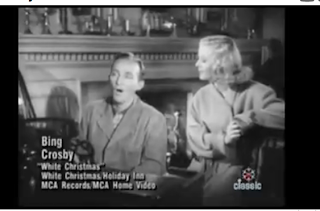 While the area had a sprinkling of holiday snow in 2004 and 1997, the last time it experienced “a true, New England-style dose of snow on Christmas Day was Dec. 25, 1926,” the newspaper reported. 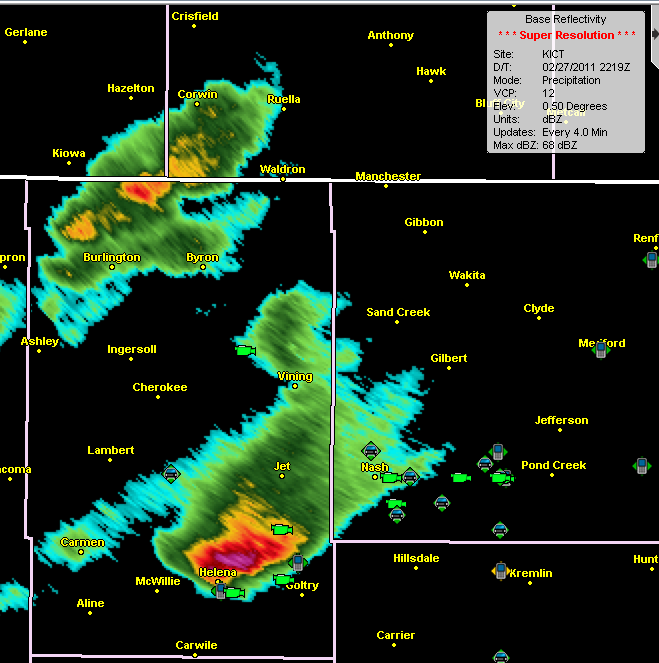 There should be a blizzard warning in effect for the Kansas Flint Hills where 7 to 15 inches with 50 mph winds will occur. 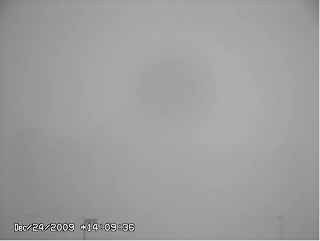 I am getting reports of visibility less than 1/4 mile. Travel extremely dangerous in those areas. 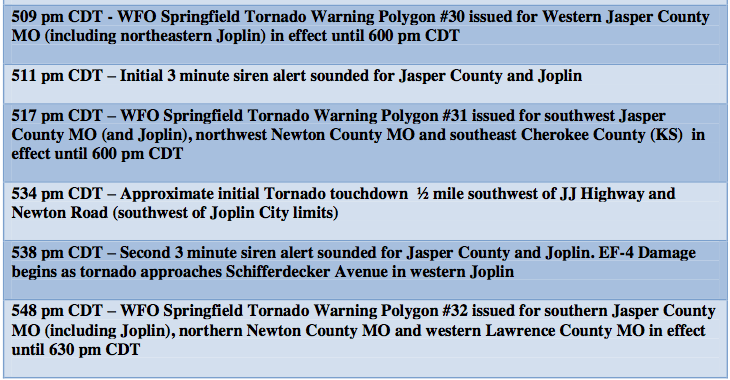 Note the tornado warning in southeast Misssissippi. 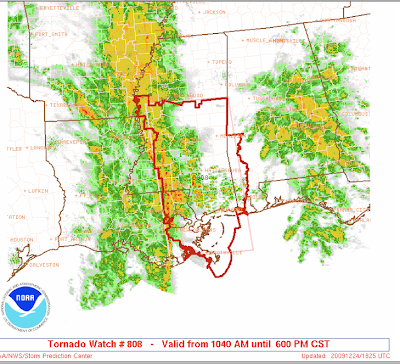 Please keep up on the weather in the yellow tornado watch area! 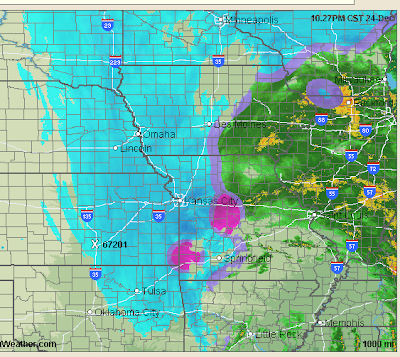 Here is the 3:42pm winterized AccuWeather Radar (link below), with heaviest snow in the darker blue colors. This will be my last update as I wish to spend quality time with my family. I hope this storm updating has been helpful. Merry Christmas Eve, everyone!!! Click here for snowfall forecast maps, etc. "Zits" courtesy of The Washington Post. My friends, Mike Phelps and Robin Lorenson, are storm chasing in the winter storm. They are driving from Wichita to OKC on I-35. The live video stream is here. Their goal is to get photos of ice and the blizzard. I don't know how long they will be out, but if you want to see how the road looks at the moment, take a look. 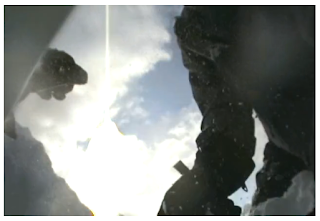 This is a helmet-cam video of a skier buried by an avalanche and rescued. As the skier begins his run, you can see the snow "fracture" at the tip of his skis which is the beginning of the slide. Avalanches occur just that quickly. Always obey safety rules and stay out of "back country." Avalanche Safety Rules at the link. 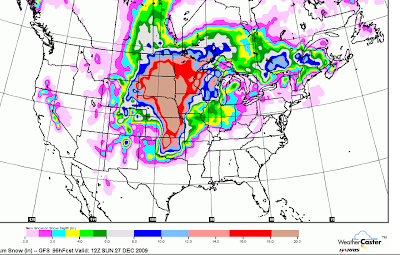 UPDATE III, 9:55pm Tuesday: Blizzard conditions appear likely in Kansas and Nebraska to the East of U.S. 81 starting during the morning Thursday (Christmas Eve). It also appears likely that travel on Interstate 35 between Kansas City and Oklahoma's U.S. 412/64 after noon Thursday into Christmas Day will be difficult, if not impossible. The same will be true on U.S. 400 from Greensburg east to the Missouri border. 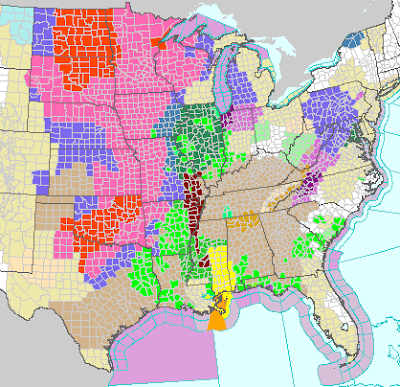 Ice storm conditions may occur in Iowa. With high winds, power outages are possible. AccuWeather has the latest on the major winter storm that will affect the Central U.S. WeatherData and AccuWeather partner on this decluttered, winterized radar display, available here. 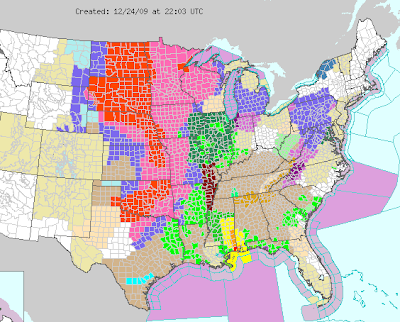 There is also a possibility of tornadoes and severe thunderstorms. Coverage here. The NWS Storm Prediction Center issued this map of the probability of severe thunderstorms on Wednesday at 11:30am today. Note: 30% is fairly high this time of year. AccuWeather radar for the severe weather threat area is here. 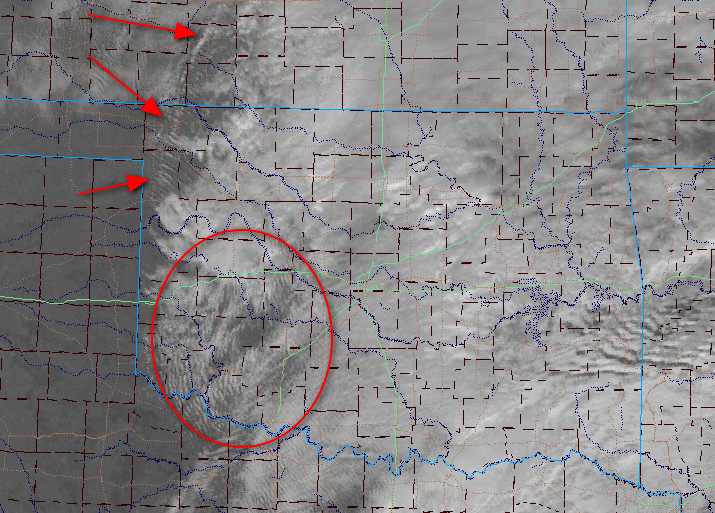 Please keep up on the weather as this major storm develops. 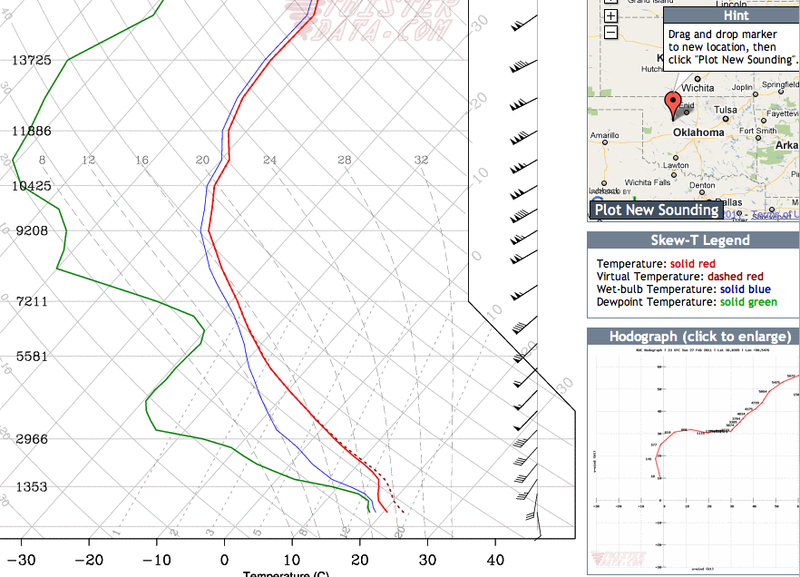 Update IV, 11pm: Here is an example of what meteorologists deal with when attempting to forecast snow amounts. 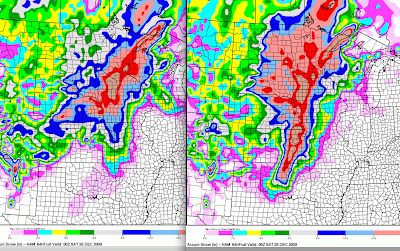 Below are screen captures of the National Weather Service's NAM model forecast based on the computer simulation using 6am data (left) and the noon data (right). Now, look at Topeka, Kansas (click to enlarge). 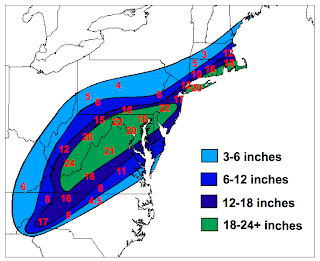 Six inches with the early data, 18+ inches with the later data. 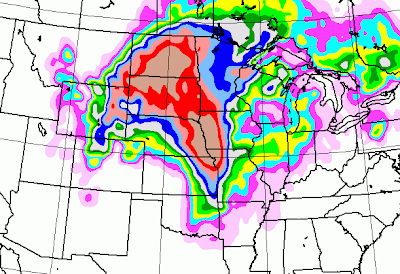 My house in Wichita is forecast to get less than an inch in the 6am model run and 12" in the later run! 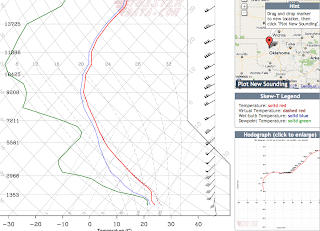 It now appears the forecast of snow amounts on the right is the more likely outcome along with gusts to 50 mph across eastern Kansas, eastern Nebraska and northwest Missouri. 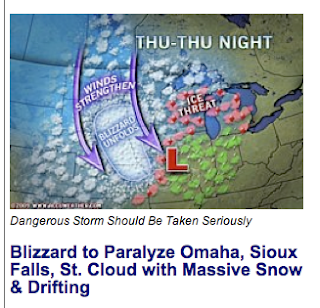 This is a dangerous winter storm.